Welcome to The Railway situated just outside the village of Dorridge. We are a traditional family run pub with real log fires in the winter, and a large lounge that overlooks our huge beer garden and play area which is a real hit with families in the summer. Our heated glass screened patio offers a more comfortable option, helping to extend the late summer nights. We provide home cooked, proper pub food and are known locally for our fresh fish and locally sourced game when in season. 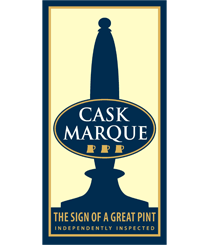 A proud member of Cask Marque and Siba, we have featured repeatedly in the Real Ale Guide.....our real ales are a hit with the locals.